I am a huge fan of WindowsMobile phones – I have owned a bunch over the years going all the way back to the Motorola MPx220. WindowsMobile gets a lot of criticism but I find it works well – the fact that you can find a contact by first name, last name, or phone numbers simply by pressing the numeric keys is by far better than any of the competing solutions. I am currently using a Pantech Duo right now which is ok but the dual hinging is a little sloppy and the audio sometimes cuts in and out. It is however, the first phone I have had with a full keyboard which I like a lot. I wasn’t sure I would but I find it pretty useful. 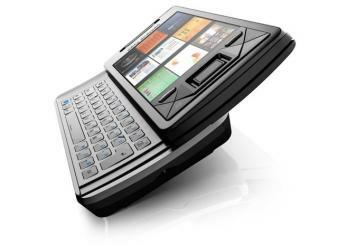 My friends at Sony-Ericsson tell me this phone should be available soon – hopefully AT&T Wireless (my carrier) will carry it.